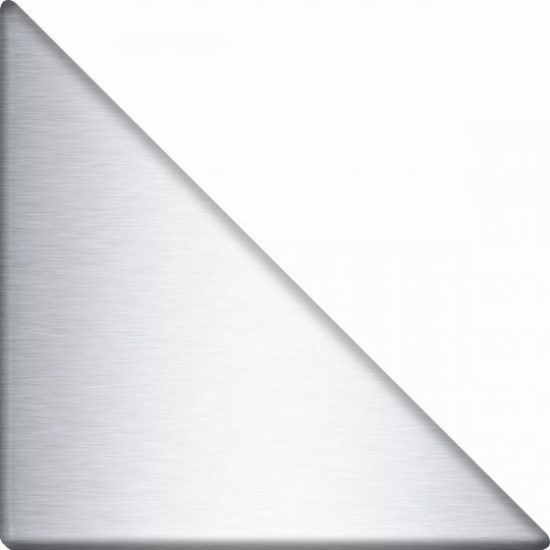 The 4 x 4 x 5.5 Triangular Stainless Steel Tile is Proudly Made in the USA. 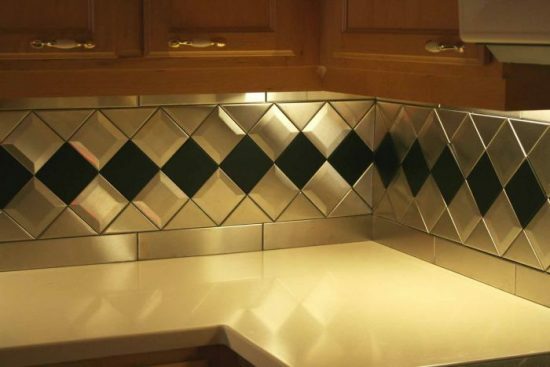 (Actual size: 4″ x 4″ x 5.625″) An especially useful tile to reduce cutting and create finished edges with 4 x 4 stainless steel tiles and 4 x 8 stainless steel tiles in diagonal patterns. The standard triangle tile is made with the grain oriented as in the picture to the left. 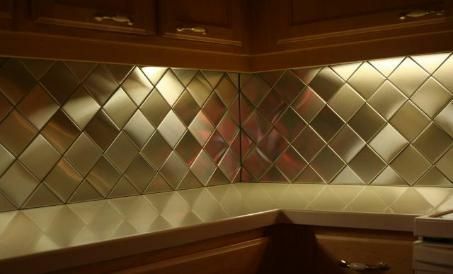 This tile can go all the way around the perimeter of a diagonal pattern with the grain in the proper direction. There are times when triangle tiles are used in different orientations and it would be useful to have the grain oriented differently. We can accommodate your requirements if you you will give us a call and discuss your project with us. 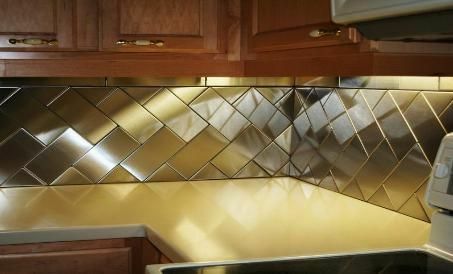 Just imagine the possibilities for your backsplash, bar front, decorative wall or bathroom. We enjoy helping with your design, layout and installation questions and we are just a phone call away (404-655-6719).